Surgery Day - Adventures with the Tuleys! 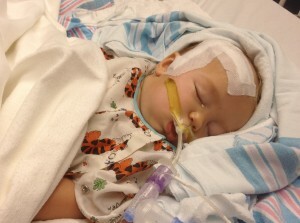 Three years ago today we were at the hospital at 6:30am preparing for Josiah’s brain surgery. It’s interesting to me because as we went through the chemotherapy treatments, he has NEVER been a fan of an exam room, always preferring the hallway. 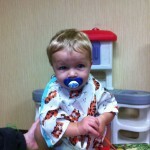 This picture of Josiah on the table in the waiting room is one of my favorites. He was so active and happy climbing and playing. 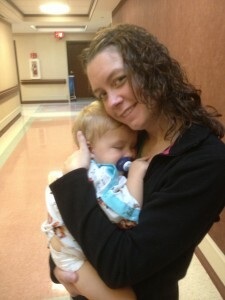 Before it was time for Josiah to go back for surgery, he had fallen asleep in my arms. The part of the day I dreaded the most had come: when the nurse came to take him back for surgery, not knowing what the outcome would be. Josiah did not wake as I kissed him and handed him to the nurse, and he stayed asleep as they walked him down the hallway. I am so thankful to God for giving me the gift of a peaceful handoff. It gave me a sense of calm and peace in knowing that Josiah was in God’s hands, knowing there was nowhere better for him to be. The waiting room was filled with people. People who love and care for us, and for whom we are forever grateful. 8:35 – He went back to the operating room. 10:15 – Surgery began with the first cut being made (estimated time of a 6 hour surgery started at that time). 1:05 – The surgeon made it to the tumor, took a sample to examine under the microscope. 1:50 – Initial results showed the tumor to be benign. 3:00 – The surgeon was still under the microscope working, and expected two more hours to complete tumor removal, and another two more hours to put everything back in place, put screws in, and stitch him up before surgery would be complete. 5:00 – The anesthesiologist came to talk with us. 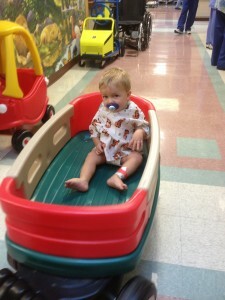 Josiah had received blood and we were told the surgery would be another 4-5 more hours. 7:15 – Call from the OR told us the surgeon was continuing to work under the microscope. 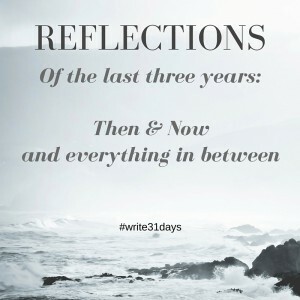 8:30 – Call from the OR told us the surgeon was still working under the microscope, that vital signs were good, but there was no time estimate of completing the surgery. This was the most difficult part of the day, as I had expected to be able to see him at that time. 9:15 – Call from the OR said the tumor removal was complete. 9:45 – Call from the OR said we would see the surgeon in about 20 minutes. They were working on putting the bone back, screws in, and then stitching him up. 10:15 – Talked with neurosurgeon. 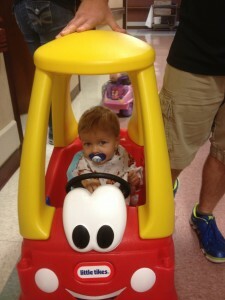 11:00 – We saw Josiah briefly in the hallway as they transported him to the Pediatric Intensive Care Unit. 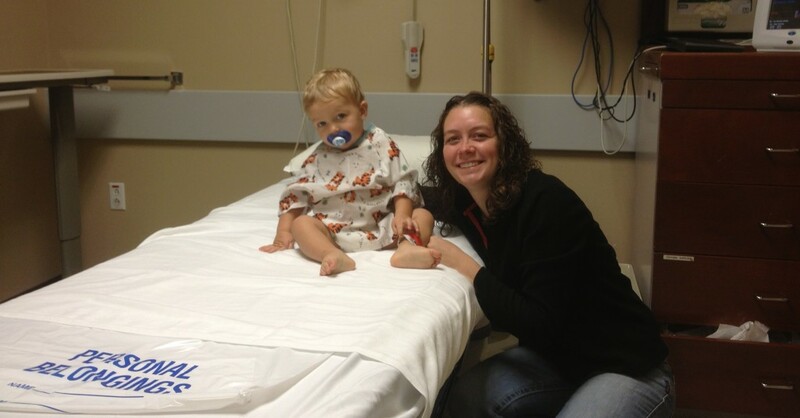 11:30 – We were able to see Josiah and join him in his room. The neurosurgeon was able to remove 97% of the tumor. The remaining 3% was (is) wrapped around a major artery and unable to be removed. We met with the nurses and the Pediatric Intensive Care Unit doctor, then settled into our room with Josiah for the night around midnight. In the middle of the night Josiah removed the breathing tube on his own. 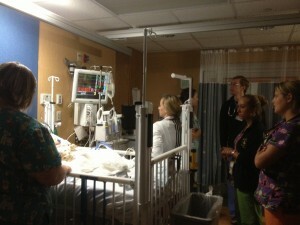 We love this picture of all the doctors and nurses staring at the monitors, watching Josiah’s oxygen level remain normal, without the need to place another tube. This is one of many of the ways we saw God’s provision during this time. I look forward to sharing more with you in the days to come.